Evanssion is a value added distributor specialized in Cloud Transformation & Information Security solutions. Our operating geography includes the Middle East, Africa & India regions. Evanssion believes in embracing emerging technologies that unlock tremendous business value and are passionate to evangelize solutions that can help organizations to optimize their IT operations, enhance security & respond quickly to changing business environments. Evanssion works with trusted partners in addressing customer challenges by offering solutions that are cost effective, easy to implement & provide quick ROI. With an established Customer Experience Center in Dubai & Bangalore, we extend sales & technical support to all our partners & customers across MEA & India regions. Evanssion is known for its transparent corporate culture & inspiring work environment. Our key tenets include empowering our team members to aim higher with their ambitions, foster creativity and to pursue bigger dreams. Evanssion believes in impactful engagement & collaboration with our partners that enhance their revenue streams and profitability by building an organization with shared values & immense character. Dilip co-founded Evanssion in 2010 and brings a wealth of leadership experience in building & scaling high growth technology sales teams. 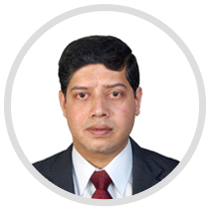 With more than 15 years of sales, technical and management experience in the information technology industry, Dilip is driving the vision & strategic direction of the organization. With an objective of becoming the region's leading VAD with deep domain expertise in Cloud Transformation & Information Security, Dilip & team are focused on enabling partners build next generation Software Defined Data Centers & Information Security solutions. Dilip also is responsible for Evanssion's differentiated technology & services portfolio as well as quality & service delivery. His impactful & honest engagement skills have earned him a lot of respect within his customer base. An avid reader, Dilip is adept at identifying potential market leaders in their early growth stage. He is also a certified CISSP, CISA, CISM, CGEIT & PMP. 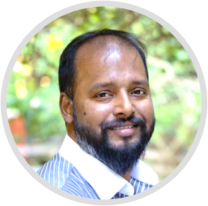 Ashok co-founded Evanssion in 2010 and has played a key role in building the organization's evangelizing approach to the value added distribution space serving 200+ enterprises via a 100+ strong partner network. 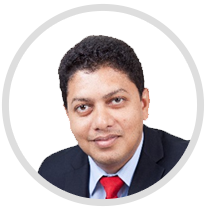 With an experience of 14 years in the regional industry, Ashok is actively engaged in the development and execution of business strategy, finance & banking affairs as well as branding and investment activities. His expertise in pearl diving (his definition of hiring exceptional talent) results in the hand picking of highly valuable individuals that form part of the organization's competent & effective team complementing his belief that an organization is nothing but its people'. Building and sustaining lifetime value relationships is his operating philosophy in life. His genuine liking for people and natural ability to connect with them has earned him lifetime relationships with customers, partners, vendors, competitors as well as with very high achievers in the region beyond business. A computer science engineering graduate from VIT University, Ashok is a professional magician (close-up style) who has performed at many shows. Sheik Abideen is an exceptional leader with proven track record of driving the sales of an organization to give consistent revenue and bottom-line growth. 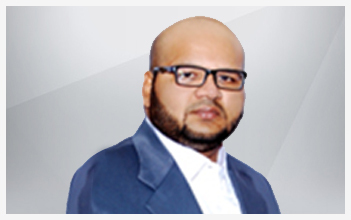 He comes with over 15 years of experience in solution sales in the Middle East and Indian market and was heading the sales organization for last 7 years in his previous role. He is known for transforming a sales team for larger business engagement through constant mentoring and coaching programs. His strong information security experience coupled with sales leadership capability makes him an ideal leader to drive sales operations at Evanssion. Sheik Abideen is responsible for driving sales, channel and marketing operations for Middle East & Africa. He is also responsible for building synergy between vendors, partners, customers and internal resources for achieving the objectives of the organization. Floyd Britto has over 15 years of IT experience cutting across IT Infrastructure & Data Center. His experience cuts across key verticals such as IT / ITES, Telco, Manufacturing, Government as well as BFSI. Floyd's specialties across the Indian Subcontinent include Enterprise & Government Solution Sales, Channel Development / Management, Brand Management, EXIM, Marketing and International Business. 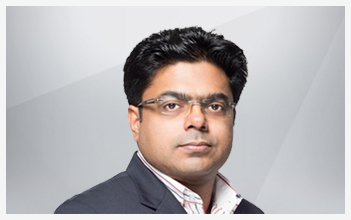 He has represented many multinational companies in building their channel and customer acquisitions programs and has worked with leading IT solution providers in India such as Apara and Trimax. He has a degree in Business Management with specialization in International Business. 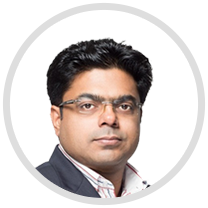 Dilip co-founded Evanssion in 2010 and brings a wealth of leadership experience in building & scaling high growth technology sales teams. 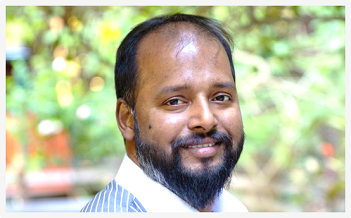 With more than 15 years of sales, technical and management experience in the information technology industry, Dilip is driving the vision & strategic direction of the organization. With an objective of becoming the regionsâ€™ leading VAD with deep domain expertise in Cloud Transformation & Information Security, Dilip & team are focused on enabling partners build next generation Software Defined Data Centers & Information Security solutions. Dilip also is responsible for Evanssionâ€™s differentiated technology & services portfolio as well as quality & service delivery. His impactful & honest engagement skills have earned him a lot of respect within his customer base. An avid reader, Dilip is adept at identifying potential market leaders in their early growth stage. He is also a certified CISSP, CISA, CISM, CGEIT & PMP. Asrar Ahmed is part of the leadership team at JBA Group. JBA Group is a strategic investor in Evanssion and a nearly $100 Million enterprise having interests in steel, industrial processing & trading. Asrar has been instrumental in creating and enhancing JBA Group's successful relationships with leading organizations as well as its focus on investing in emerging technology areas. Equally at ease with business and technology, Asrar believes in building business by investing in the right people. Personal humility, inspiring enthusiasm and a sharp sense of opportunity are few of Asrar's personality traits.